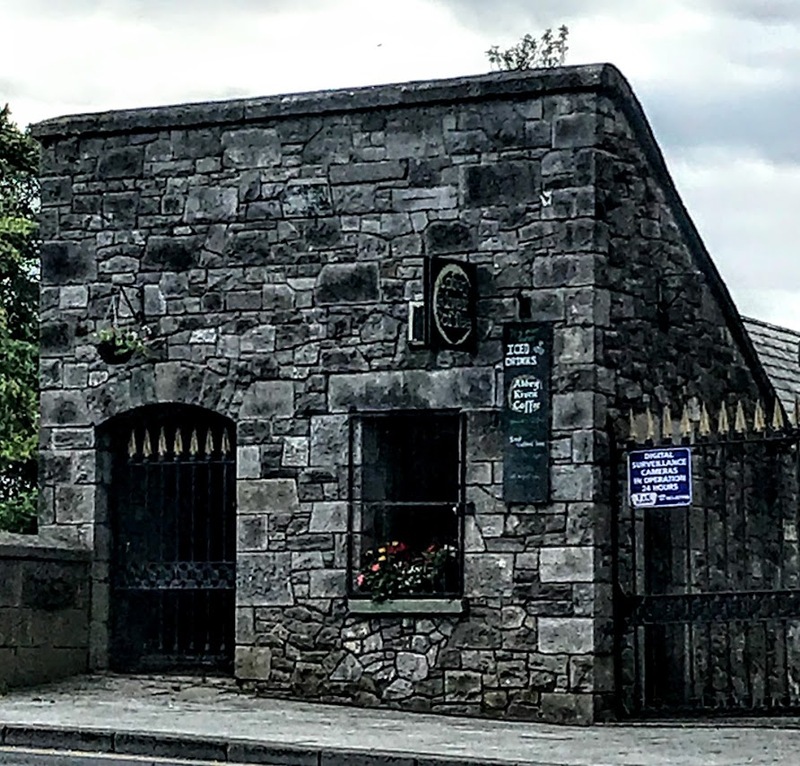 Limerick still has two markets that are a reminder of the old ways of commercial life in the city – the Potato Market and the Milk Market. The two remaining historic market sites are the Milk Market and the Potato Market on Merchant’s Quay, currently operating as a car park. 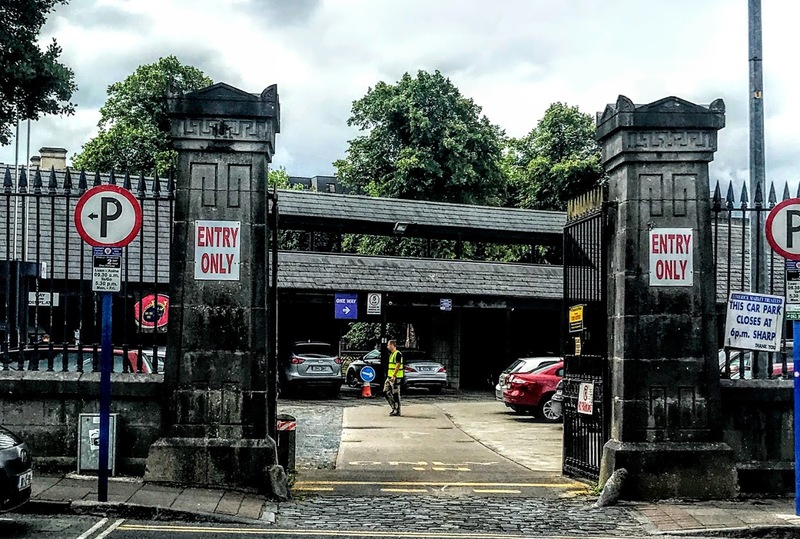 The Potato Market on Merchant’s Quay, close to Mathew Bridge and opposite the West Door of Saint Mary’s Cathedral, is an open market space enclosed by fine railings and forming an attractive backdrop to the Abbey River. 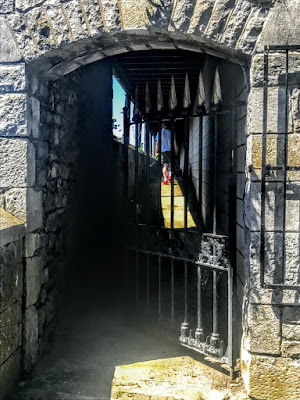 Limerick received its first charter as a city in 1137, then the medieval settlement of Englishtown. On one corner of King’s Island is the site known as the Potato Market, which is reportedly the original site of the city of Limerick when it was founded by the Vikings in 922. The Potato Market is an irregular-shaped, five-sided enclosed former market place, overlooking the point where the Abbey River meets the River Shannon. 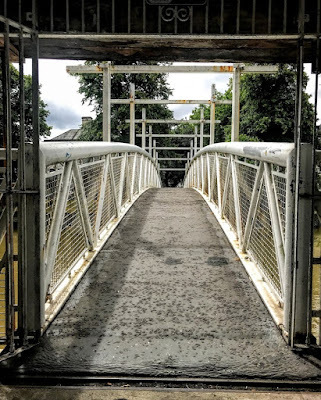 A footbridge named after Sylvester O’Halloran, which I wrote about last week [20 July 2018], connects the market place to the grounds of the Hunt Museum across the river. The plans for the Potato Market were drawn up in 1843 by the Limerick-based architect and engineer William Henshaw Owen (1813-1853). Owen was born in 1813, the son of the Welsh-born architect Jacob Owen, who moved to Ireland in 1831. William moved to Ireland around the same time and, like his father, he entered the service of the Board of Works. He was sent by the Board from Dublin to Limerick in 1836 to act as its representative and as a resident engineer for the Shannon Commissioners. 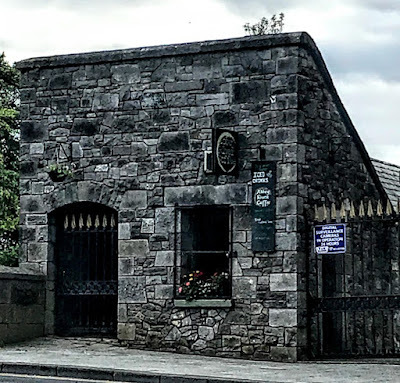 In Limerick, Owen oversaw the building of Thomond Bridge (1836-1840), designed by the brothers James Pain and George Richard Pain, the Savings Bank (1839) in Glentworth Street, designed by Thomas Deane, and he designed the Mathew Bridge (1844-1846) beside his Potato Market. While he was working in Limerick, William Owen lived at Thomas Street (1837) and Mallow Street (1841). He moved to the US and he died suddenly in San Francisco on 1 June 1853. Meanwhile, the Market Trustees were established in 1852 and owned and operated a number of markets in the city centre of Limerick. The Butter Market, the Pig Market and the Hay Market were transferred to a new market area but the Potato Market and the Corn Market, later known as the Milk Market, survived. Owen’s Potato Market is a two-storey, irregular-shaped, five-sided enclosed building, with a river fronting and many bays and faced with rubble limestone. The building has a pitched artificial slate roof with steel column supports to the loggia. There are two gauged red brick elliptical arches on the southside. One forms a balcony with a steel balustrade, the second opens onto the Sylvester O’Halloran Footbridge. On the north side, this appears to be a single-storey building facing the cobbled market area, with a gable-fronted platform section. The market area is enclosed on the other sides by a squared limestone ashlar wall supporting wrought-iron railings with cast-iron spear and axe-head finials. The massive limestone ashlar Greek Revival gate piers have tapering shafts and are incised a Greek key motif, and there are triangular capping stones with cat ear corners. There are supporting wrought-iron gates with spearhead finials and axe-head finials. The Potato Market, which first opened in 1843, but it fell into disrepair and disuse in the early 20th century. It struggled to continue until the 1940s, when it became redundant and derelict a century after it first opened. The market was extensively restored in the 1980s, with a covered loggia facing the confluence of the Abbey River and the River Shannon. The restoration work was carried out over three years was carried out by skilled craftsmen and AnCO trainees and cost almost £400,000. 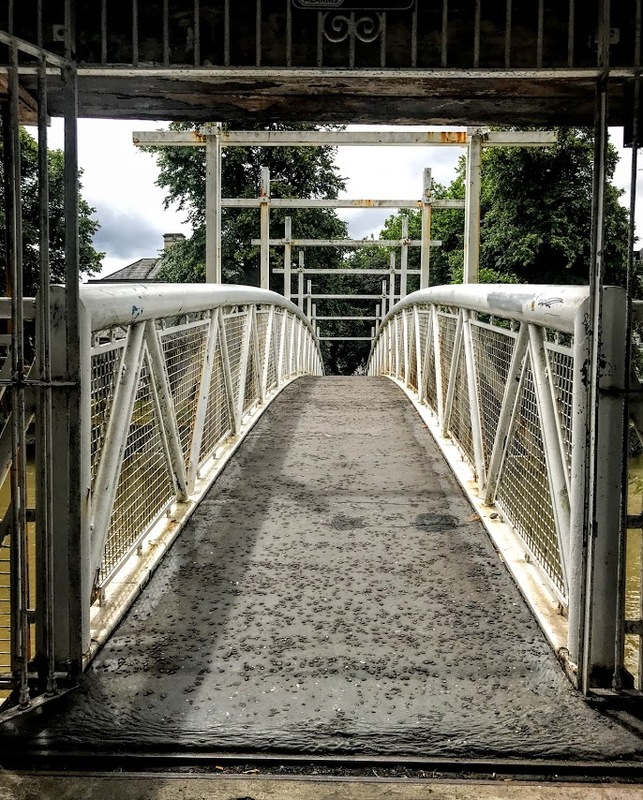 The Potato Market became the latest jewel in the crown of the Limerick Civic Trust, and a new pedestrian bridge, the ‘Sylvester O’Halloran Bridge,’ was built to link the Potato Market with the Custom House Quay. The newly restored market was intended for both local people and tourists, and there were plans to host music festivals and an open-air theatre. However, it now operates as a public carpark, and those plans still wait to be realised.